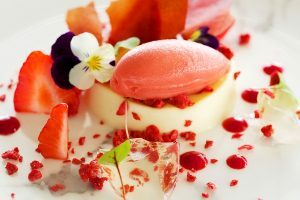 Muddy Says: A little taste of California just over the border in East Sussex, this restaurant with rooms opposite Camber Sands is a gem for fine dining or a cheeky getaway. 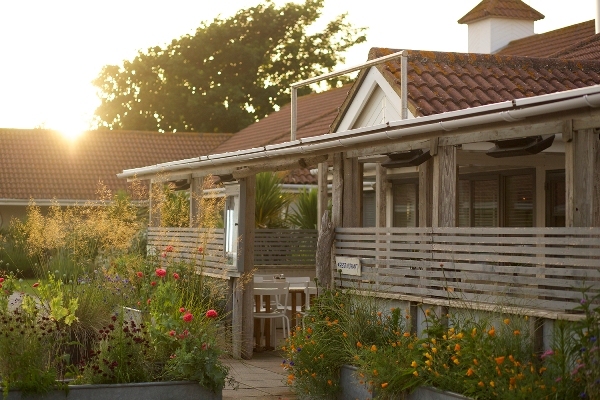 The Gallivant is a Restaurant with Rooms just outside Rye, directly opposite the gorgeous golden sands of Camber Beach. 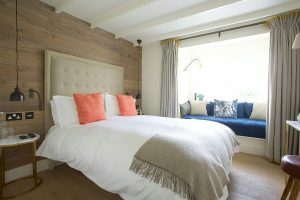 Inspired by the coastal motels you might find in California, this place is all about laid-back luxury and creating a relaxing hideaway from the stresses and strains of modern life where grown-ups come to dine, dream and relax. (We say grown-ups, not because you can’t take kids, but we’d recommend it much more for a date-night getaway). You are right on the road (it’s not called a converted motel for nothing) but it’s the closest you can get to the beach. If you live in west Kent, Rye is probably one of your nearest sea-side destinations – around 50 mins drive from the Tunbridge Wells area or 30 mins or less if you’re more towards Tenterden. From London it’s a 90-minute high-speed train journey into Rye. 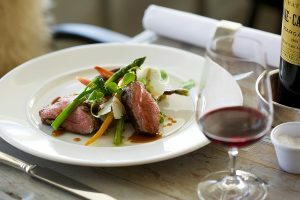 The restaurant is a destination in its own right and the kitchen is the heart of the Gallivant, which serves modern British food that highlight the best locally sourced ingredients in their relaxing restaurant that has a Scandi/New England feel. Almost all the kitchen ingredients are sourced within 10 miles of the hotel, which is pretty impressive. There’s loads to do in gorgeous and historic, Rye. And we’ve saved the best bit for last – there’s a massage hut too! Could this place be any cuter? Great destination for couples escaping for the weekend, dog-lovers, weddings… basically anyone that’s after a little slice of coastal cool.